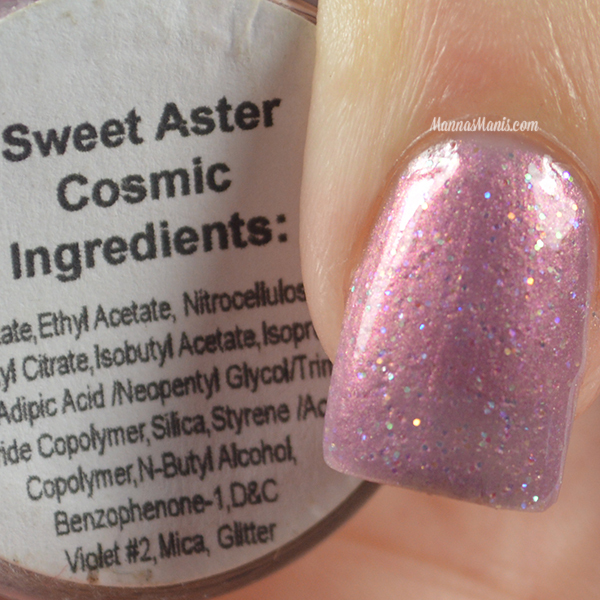 Sweet Aster Cosmic is a lavender leaning mauve filled with holo glitters. This is a very unique color to me and I had a hard time finding the right color to describe it! My bottle actually looks different than pics on the site and other swatches I've seen :/ Application was smooth, has a nice easy formula to work with. This is 3 coats. 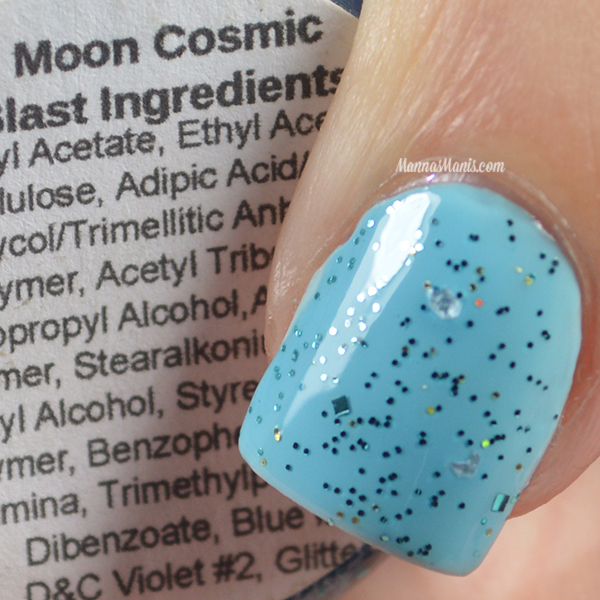 Moon Cosmic Blast is a blue glitter polish packed with varying glitters of size and color. I decided to use this as a topper, because the formula looked thin and I thought it would do best over a blue base. This is one coat over Zoya Lillian. Strawberry Blast was my favorite of the bunch. 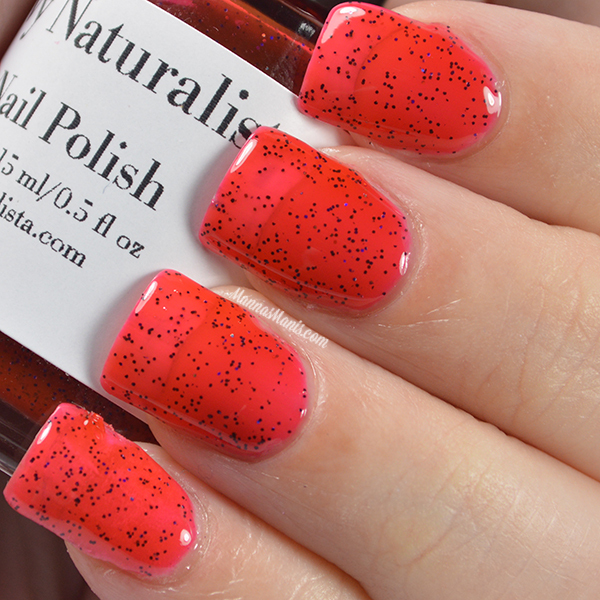 It's a vibrant red jelly packed with black glitters to represent the seeds in strawberries. 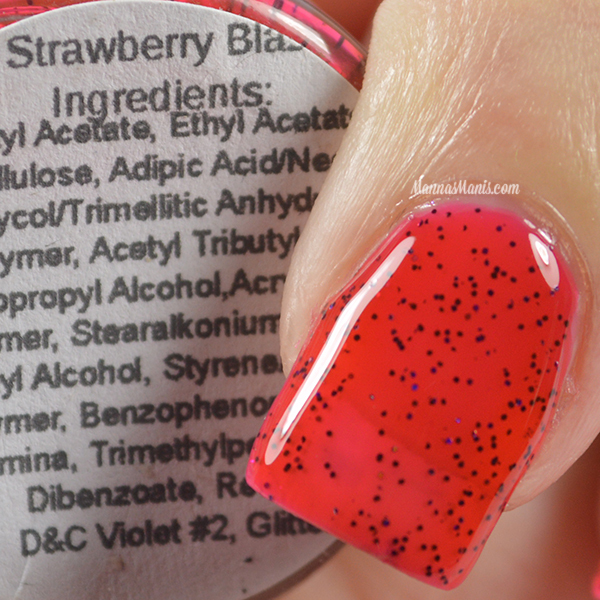 Application was flawless, like most jellies the formula can be a little thin and you will have visible nail line, so if it bugs you, I recommend a red base. This is 3 coats. 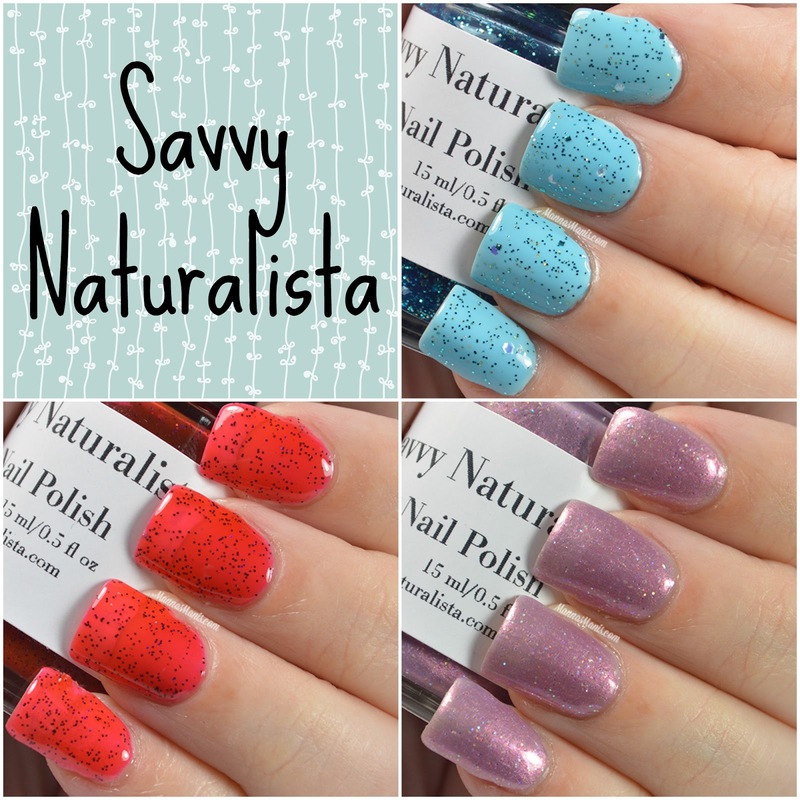 You can find all of these pretties on Savvy's website (links below) for $8 a piece and while you're there you should check out some of her bath and beauty products!